Google won a lot of minds when it unveiled Android Wear, and Motorola made off with a ton of hearts when it followed up with the Moto 360. The thing is, not everyone wants a device that's so integrated with their Google accounts, and this leaves room for earlier smartwatch manufacturers to wiggle. 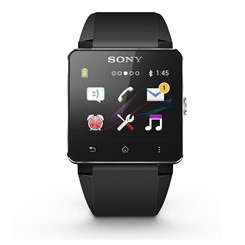 The Sony SmartWatch brand has been around long enough to draw quite a few apps into its ecosystem, making it worth a look for some. We last saw the watch drop down to $140 from Rakuten. Now it's available for $130 one day only as an eBay Daily Deal . This is $70 less than the watch's usual price, and $20 less than what it's going for on Amazon. This is still $130 to spend on a smartwatch, but whether that's worth it is entirely up to you. Here, I'll provide a link while you think it over.